Play as a way. Play as a path. Play as a way to learn. Play as a path to the divine. As long as I can remember, my most joyful, contented and open-hearted memories involved play. I learned to swim, ski and dance by play. I leaned to sing, draw and write by play. Play taught me to wonder, to question, and live the questions. It also has helped me heal, accept, and become intimate with others. And through play we learn to think, and live, creatively. We learn ways to play with the challenges that life will continue to present. Our hearts can become a little lighter. And we learn not to take ourselves so seriously. We become less serious, but more sincere. When I was four years old I made a dance. I remember the feeling that when absorbed in the dance, I was not me in the usual sense--it was tremendously liberating--even at four. I remember watching an older girl of seventeen dance to the song "green sleeves" and I was mesmerized. The girl from down the street was not human in the usual sense. She was a moving vine, half human-half plant, and it seemed like an invitation to some infinite realm where anything was possible and all was connected and transmutable. At 10 years old I was again awestruck in the dark silence of a theater before the curtain had risen. In that stillness and silence my mind was open, empty, ready for wonder, for letting go, ready to enter into the space where we see the ordinary as extraordinary: because it is. In this content we have permission to experience the world from a different vantage point. And so see it anew. In the realm of play, I could relax. 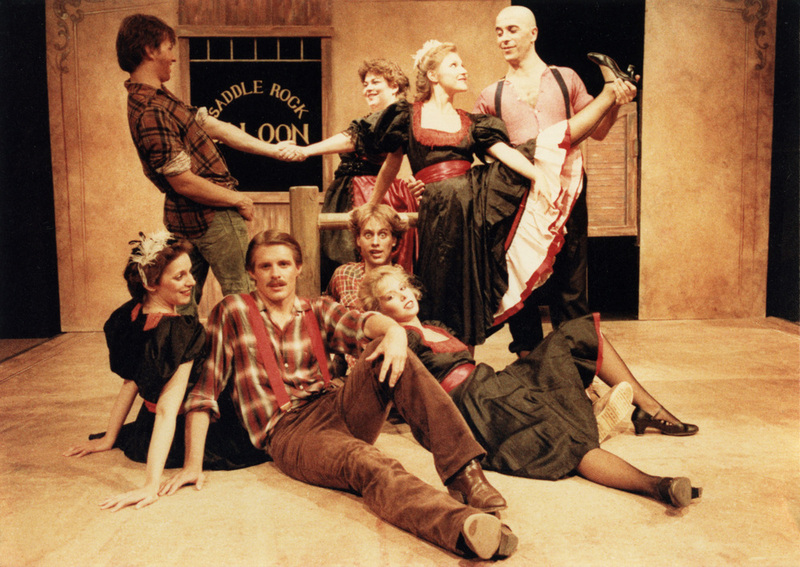 After graduating from college and theater school, I worked for a research theater company that was formed around the work of Viola Spolin and Keith Johnstone, two improvisational theater innovators. It was powerful, it was all about play. We worked in the NYC public high schools and out at Rikers Island Correctional Facility. During my time with the company, I had the good fortune of spending two years working with with female inmates at Rose High School on Rikers Island. Any doubts I may have had about the deep, profound and healing power of well-structured play, even for adults, was eliminated there. It was a humbling and inspiring experience. So when I came to yoga, after an in depth study in Laban Movement Analysis, I found myself drawn to Iyengar Yoga, which is a very methodical approach to the investigation of body, mind and spirit. Disciplined practice is said to be a path to freedom. But discipline without the permission to play can lead to discipline devoid of delight. The practice can lose its vitality, its joy, its juice. The practice can become mechanical and we can lose the ability to wonder, and the ability to try things differently. Discipline combined with delight or a 'way of play' is truly liberating because we are free to explore, to learn, to grow, to evolve. We are free to listen and respond to what is emerging from within- even if it does not conform to what had have been trained to expect. We make space for insight, and even delight--genuine delight. Play as a way to learn is so innate, so embedded in our DNA, that we only have to look as far as the nearest playground to see this powerful and natural practice in action. Children and baby animals play as a way to learn, to relate, to connect and commune with each other. A sense of community (of little people) is born on the playground. So when we give ourselves permission to play, we give ourselves permission to evolve. And we give ourselves permission, even as adults, to experience some of the freshness, the openness, and the wonder that is so delightful in young humans and young animals. Through play we resolve to be beginners. As Rilke says: "Resolve to be always beginning--to be a beginner!" We also make space for the word 'yes' in our practice. What is the paradox of discipline and playfulness, which could be described as detached attachment, or effortless effort, so often described in the Yogic texts? B.K.S. Iyengar says "be cautious, be bold!!!" So what is this special combination of control and abandon, or controlled folly, that allows us to "care and not to care" (as described by T.S. Eliot) that so captures an essential aspect of any creative act and the yogic endeavor particularly? It is interesting to challenge oneself and methodically yet playfully explore this theme so as to uncover within ourselves that which is free within the form. Form can provide a context for deeper explorations, and most importantly, for freedom. If we lose the openness, the curiosity, and the willingness to play in our practices, we stand to lose the joyful and childlike freshness that can support us cultivating states of being that are both relaxed and wakeful. It is this freshness that supports our ability to be present, and perhaps even astonished at the beauty and mystery of even the smallest of things. Thomas Merton (Trappist Monk and student of Zen) said that the issues of life were not so much problems to be solved, but mysteries to be entered. But entering these mysteries in practice or in life can be scary, and that is where play comes in. When I ask myself what are the poetics of practice, the answer invariably involves some form of playfulness. And the opposite is true when I contemplate a poetics of play. Form provides a context for freedom. And in any good game, or form of play, certain perimeters or rules are established which help provide a safe space for the letting loose, and the letting go. The poet Mary Oliver calls these the Rules of the Dance. It is paradoxical, but in practice we employ boundaries to explore boundlessness. It seems then that the poetics of practice (and play) must have something to do with exploring this curious space of control and abandon, the paradoxical space of care-filled folly. It is in this paradox that the mystery abides. This space is a sacred space. And it seems that it is also important that it not be too serious, or that we might benefit by not taking ourselves too seriously in this endeavor. I read somewhere that the German word for holy (selig) is the root the English word silly. So perhaps we can bring a sincerity to our silliness, and by doing so we can support ourselves, and each other, as we enter freely and fully, with a care-filled abandon, into the mysterious dance of existence.